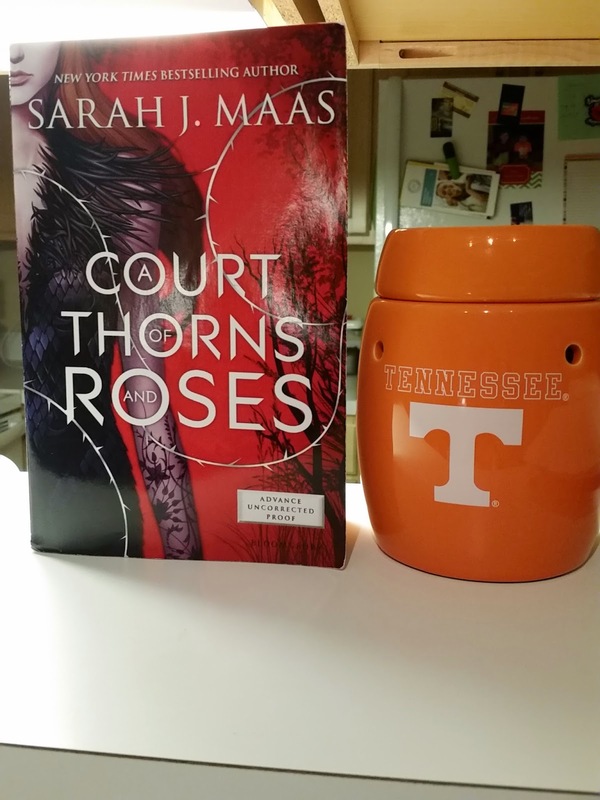 First up are two things I love very much: A Court of Thorns and Roses by Sarah J. Maas and the Tennessee Vols! 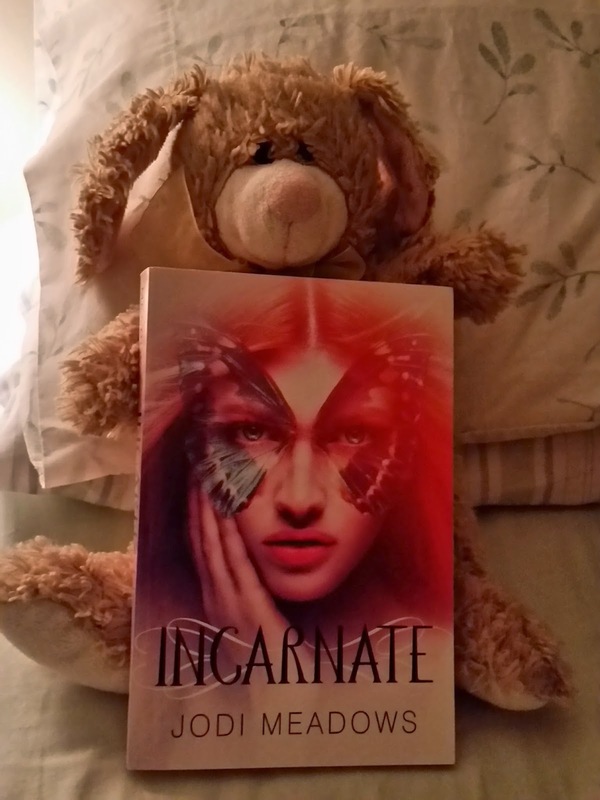 (I tried wrapping the bunny's arms around Incarnate, LOL.) This is to symbolize my love for this book and the fact that I read the masquerade scene over and over and OVER. I love my McGarry boys! You notice Ryan Stone is at the forefront. He is definitely a top book boyfriend. 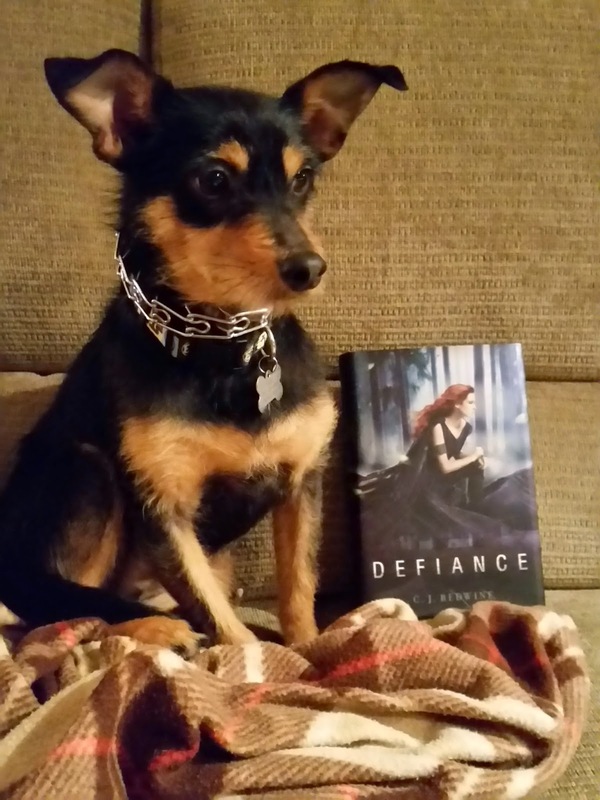 Two more things I love: my dog and Defiance by C.J. Redwine! 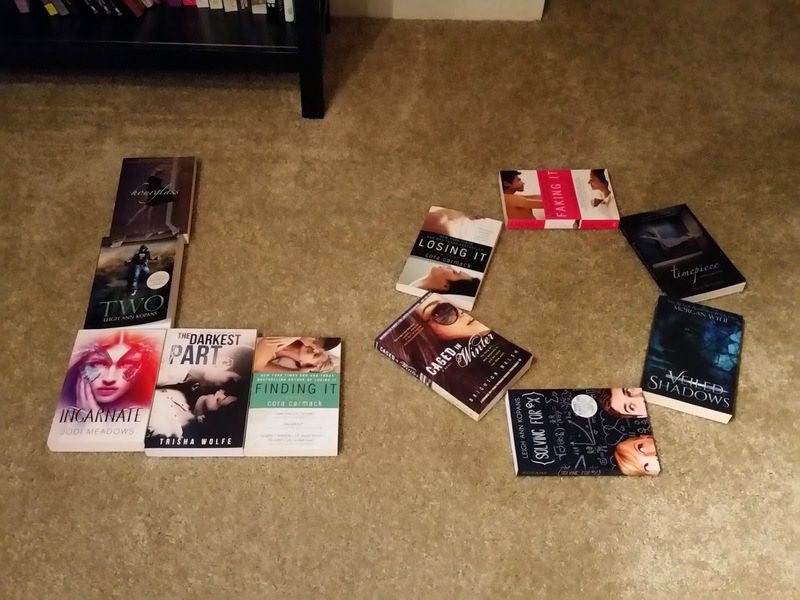 Love that you spelled out love with your books! 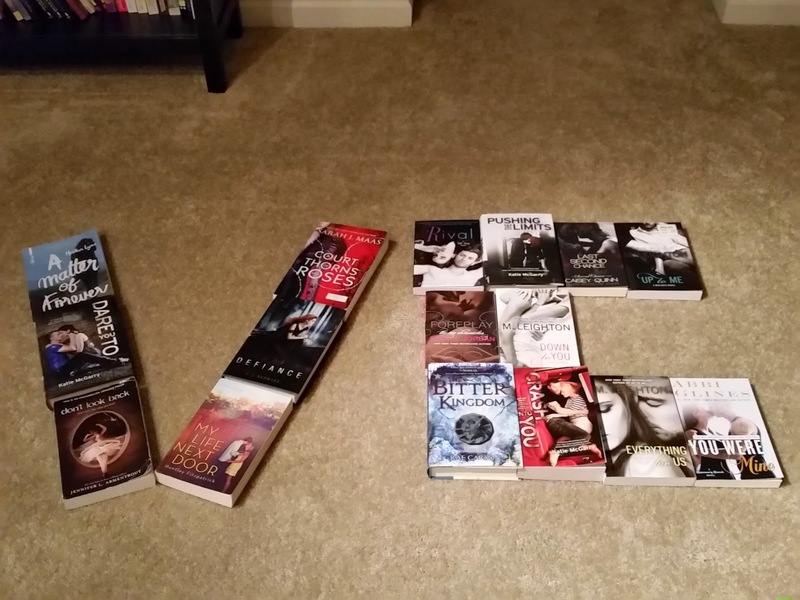 I actually thought about spelling out swoon with books w/my favorite book bfs, but was too lazy. Lol. I just finished Dare You To by the way! I loved Ryan, but I have to say, I love Noah more. It's because I'm a sucker for a bad boy. But Ryan was so sweet!!! And I loved Beth's story! 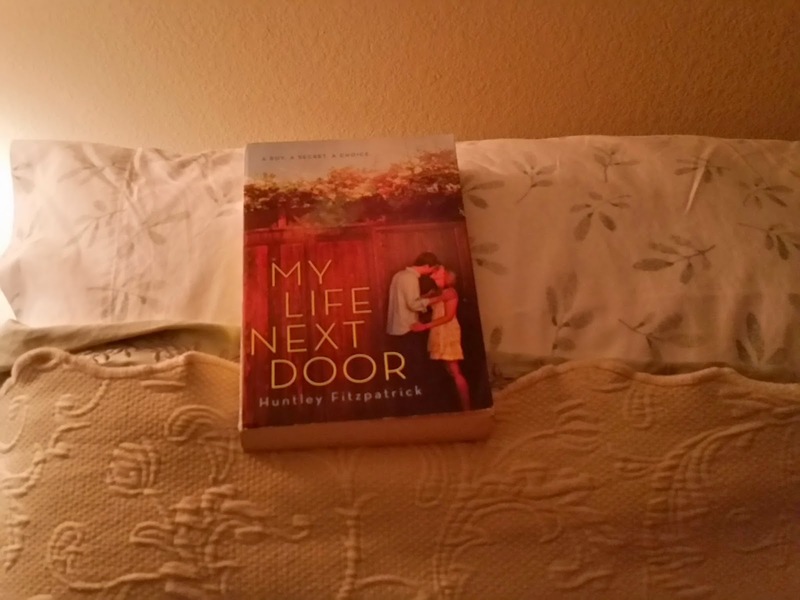 Love what you did with your books. And your dog is so cute! Oh my gosh, your snapshots are so good and so creative! I LOVE them (hehe, I done that on purpose). ROFL! Thanks girl! :D I did love Isaiah too... sigh. McGarry writes the best boys..
Oh I love the pictures, and I agree with the katie mcgarry books. Thank you! 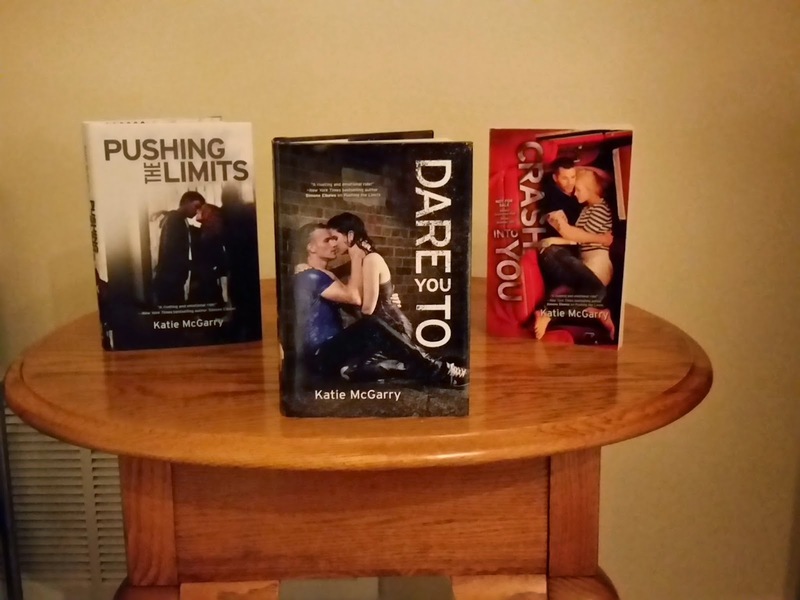 McGarry is seriously at the top of my author list! I'm loving your posts for this love-a-thon! So cute! Thanks hun! It was fun to do. Such great photos....you're so creative. PS - I just have to say...JASSSEEE GARRRETTTTTT! I heart him! Thanks Sarah! OMG- Jase...... that boy... I wish he were real. I love these pictures! Your dog is super cute and I love Ryan too! :D Thanks hun. You do need to meet West! He's adorable too. This is so cute! I love the bunny and Incarnate! That book is so so good. And you've reminded me to get caught up on that series! Hahah, thanks girl. I need to get caught up on those too! ROFL. I would have died. Very cute ideas for the snapshots! And your dog is sooo cute! !